Hello Sunshine! I know it might be too late to share the April BDJ Box, but I promised myself to share this with you after having tried at least one item from the box--so I hope that excuses me! Anyway, I actually tried more than one, but three products soooo read on. Last month's BDJ box was curated to help you achieve that overall radiance this season. It had a LOT of skincare goodies I would've picked up myself such as the Mustela Double Action cream, and the Revlon Highlighting powder. 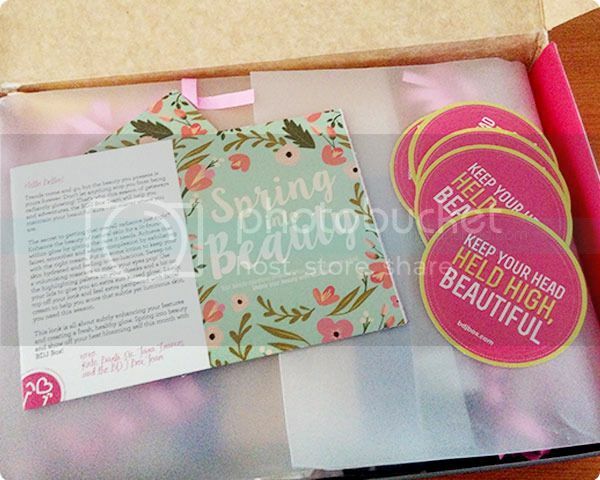 So without any further delay, scroll down to have a glimpse of what was inside my April BDJ box, and my thoughts on the three products I couldn't resist but try ASAP. 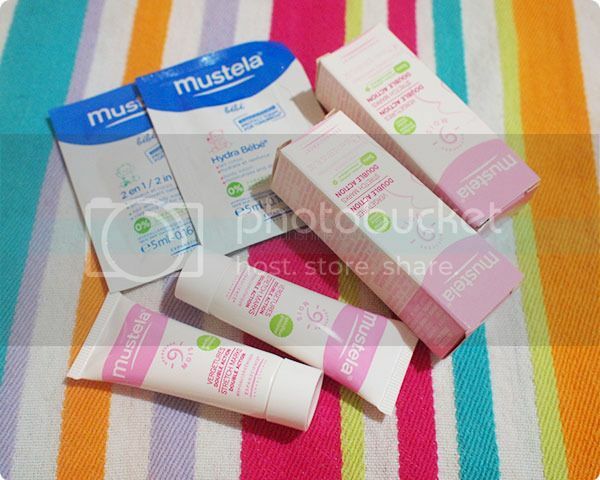 Although a baby brand, I have grown fond of Mustela because of their always gentle products. The April BDJ box had the following: Mustela 2-in-1 hair and body wash, Mustela Hydra Bebe Lotion, and Mustela Stretch Marks Double Action samples. As mentioned, I couldn't resist trying out the stretch mark cream as I do have stretch marks I'm concerned about. So far, the samples are doing okay. I know I'd need more than these samples to truly see results, but unlike other stretch mark creams I've tried, Mustela's wasn't sticky so I like that about it. This Tony Moly Intense Care Snail Foot Mask is so definitely next on my to-try products from my April BDJ Box. I love using foot masks, and I'm sure I will love this number. It is a special foot mask that supplies lots of moisture and nutrition to dry skin--which my feet definitely has to worry about! 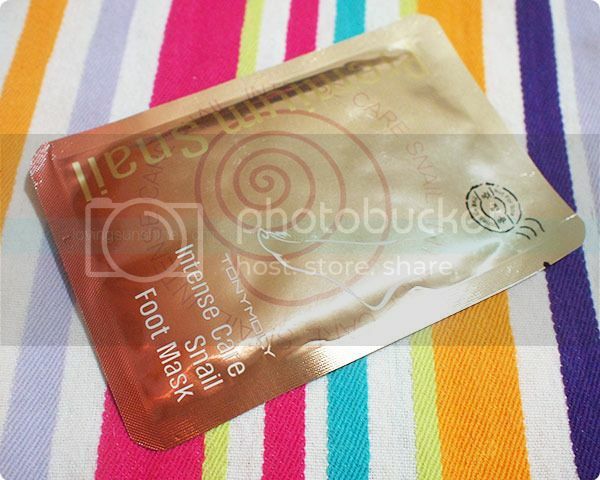 The unique thing about this mask is its snail slime extract, which is known to stimulate collagen formulation. But the beauty of this product continues with its unique ingredient that speeds up the process of skin renewal that allows painful peeling to give way to new skin. The April BDJ box also had a lot of Asian Secrets Lulur scrubs. The sachets are body scrubs, while the one in a tube is a Lulur facial scrub (Php120). I am excited to try the body scrub but unfortunately can't try the face scrub just yet since I have a pretty tight skin care routine going on right now. Next time! MyChoice also loaded up my April BDJ box. 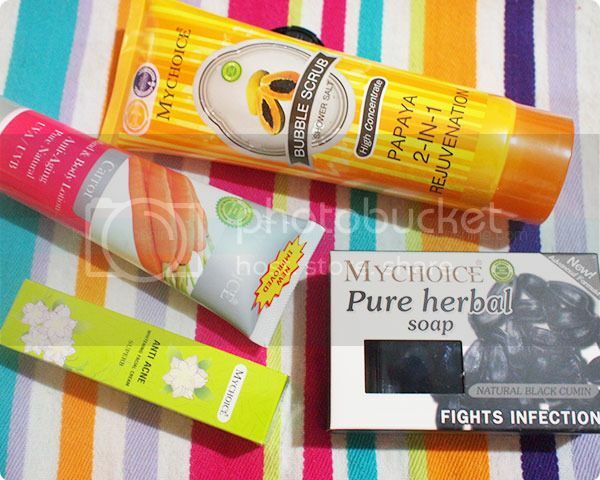 From left to right are MyChoice Anti-Acne cream (Php350), MyChoice Hand and Body Lotion (Php 70), MyChoice Bubble Shower Salt 2-in-1 (Php100) and MyChoice Pure Herbal Soap (Php55). Currently I'm using the Bubble Shower Salt since it arrived right on time, when my milk salt scrub ran out. Compared to my Bonne scrub, the previous one I use, this has a less salt-y feel due to its bubble foaming action. It feels like laundry soap! But it does have a bit of exfoliation to give so I'll keep on using it especially in between shaves. Last but not the least are the makeup items in my April BDJ box. 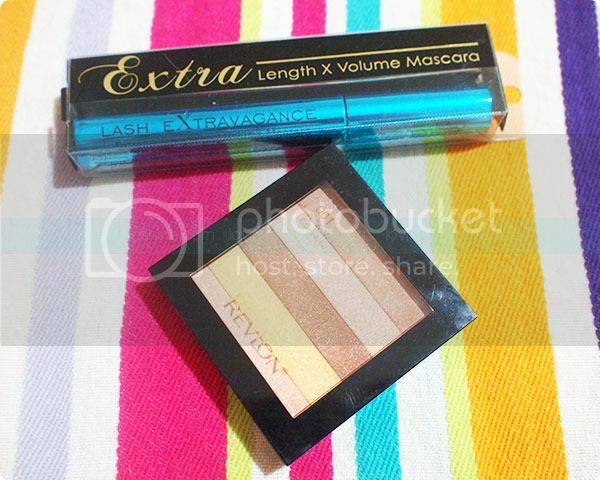 Above is the FS Cosmetics Lash Extravagance Mascara (Php625), and the Revlon Highlighting Palette (Php600?). I haven't tried the FS mascara but based on my experience of the FS gel liner, which was divine, I have high hopes. Although the FS mascara is more expensive than my usual go-to mascaras which is Maybelline... I'd love to see if it is indeed better and worth the price. As for the Revlon highlighter, I've been enjoying it to achieve a golden girl glow. It's absolutely perfect for summer, and for a more summer-y feel in the next months. I'm still trying to find what base to use it with to avoid caking, as I noticed a bit of caking the first time I tried it--or probably because I applied too much-- but color wise, it's so pretty.